TOKYO -- Toyota Motor Corp. and its Daihatsu minicar subsidiary are forming a company to focus on compact vehicles for emerging markets, as Toyota prepares for new battlegrounds in regions expected to see rapidly growing demand. Toyota and Daihatsu, which was brought under full ownership by Toyota this year, aim to set up the new company in January. 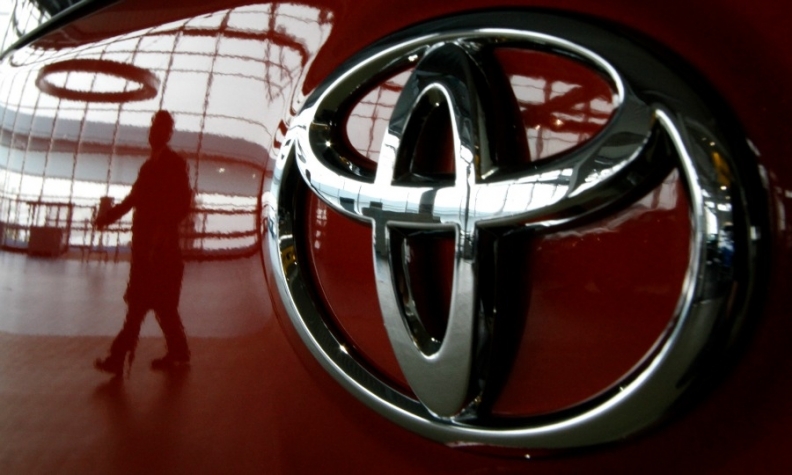 The new organization, to be established under the umbrella of Toyota, would develop small cars for sale under the Toyota brand, a spokesman said. The gambit aims to tap Daihatsu's expertise in low-cost manufacturing of compact vehicles and parlay that into more competitive cars for emerging markets, the companies said in a joint news release today. Toyota and Daihatsu will cooperate on product and business plans in those markets, base cars on Daihatsu’s vehicle architecture and share their existing factory footprint. "We will further advance our knowhow cultivated in the manufacturing of minivehicles and be a Toyota Group driving force, not only for minivehicles, but also for compact vehicles for emerging markets," Daihatsu President Masanori Mitsui said in the release. "For Daihatsu, this initiative represents an important opportunity for enormous and sustainable growth." The move comes as Toyota and other Japanese automakers shift more focus toward emerging markets. Economies in places such as Brazil and Russia have been mired in recent slowdowns. But with rapidly expanding populations and a growing middle class, emerging markets as a whole are largely seen as helping determine the auto industry's future winners. Daihatsu is strong in some Southeast Asian countries, but Toyota largely trails global rivals in other key regions such as Latin America and India. Toyota, Honda Motor Co., Mazda Motor Corp., Nissan Motor Co. and Subaru-maker Fuji Heavy Industries all count North America as their biggest regional market. In fact, Nissan, Honda and Subaru get a bigger percentage of their global sales from North America than even General Motors, which derives just over a third of its volume at home. While North America is expected to remain the big cash cow, automakers are striving for better balance with emerging markets. Excluding China, emerging market sales are expected to climb to 30 million vehicles in 2023, from an expected 19 million this year, IHS Automotive forecast earlier this year. Yet annual sales in mature markets such as Japan, South Korea, North America and Western Europe, will fall to 43 million from 44 million over the same period, IHS said. Toyota's move comes as the company reorganizes itself under a new structure introduced in April. CEO Akio Toyoda has created new business units focused around product segments, including one focused on compact cars, another on midsize cars and one on commercial vehicles. Another is a special unit focused on connected vehicles. But the new sub-company focusing on small cars for emerging markets will operate outside that structure, Toyota and Daihatsu said. The partners have not decided who will lead the new emerging market company, how much investment might be needed or when it might launch its first vehicle, a spokesman said.